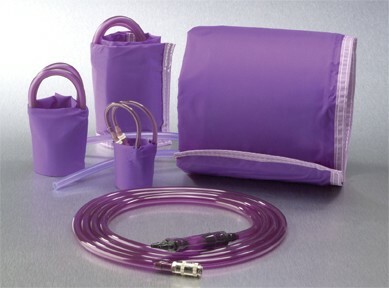 Fits patients comfortably because of a 360-degree bladder that eliminates pinching. The 360-degree bladder also eliminates the need to align an arrow/mark over an artery. The durable cuffs can withstand 10,000 inflations to 200 mmHg, and are machine washable. A reinforced closure system ensures that the cuffs will stay on and can handle wear and tear.